Unfortunately a lot of Chinese people learn English without ever going to an English speaking country. Consequently they often use English words for things that are particular to China. This in itself isn’t a problem, but it gets confusing when Chinese people believe certain English words are exclusively used for Chinese things and forget that it had an original meaning in English. With this in mind, let’s take a look at my personal top five. I was once teaching an English class and asked the students to name some Chinese food. They immediately said “dumplings”. They seemed hostile when I told them dumplings aren’t Chinese food (there are lots of types of dumplings from many parts of the world.) The problem is that at school Chinese people are told that the Chinese food jiǎo zi are called “dumplings” in English, but they often fail to realise jiǎo zi are simply one type of dumpling. In fact jiǎo zi are not even the only type of Chinese dumplings. There is also a type of rice dumpling called zòng zi. Though if you tell a Chinese person that zòng zi are dumplings they’ll usually tell you your English is wrong. “It’s not a dumpling, it’s a… it’s a… zòng zi!” I’ve heard that lots of times. 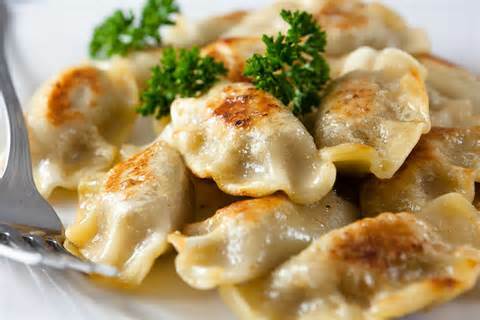 Pierogi (above) are dumplings from Poland. Not from China. Ever asked a Chinese person if they can play chess? Don’t be surprised to hear them ask back “Do you mean chess or international chess?” Again Chinese school students are often told that the Chinese game xiàng qí is called “chess” in English. xiàng qí is a game not too dissimilar to chess and probably has a common origin in India. That said it is definitely not the same game as chess. We can call xiàng qí “Chinese chess” in English. As a northerner (north or England, that is) when someone asks me if I want to take a trip to the countryside I imagine beautiful open fields with sheep and cows, a maybe a campsite nearby. Chinese people often make the mistake of believing the Chinese word nóng cūn is “countryside” in English, but it really isn’t. nóng cūn usually means an undeveloped settlement or area. If there is an undeveloped settlement in the deserts of Xinjiang or the mountains of Yunnan it would still be called nóng cūn in Mandarin. Deserts and mountains are not countryside. nóng cūn is not countryside. A lot has changed in China since Deng Xiaoping’s opening and reform policy in the 1970s. One thing that remains distinctly communist is the amount of seemingly pointless paperwork and rubber stamp jobs. Try doing anything at the bank and you’ll require multiple signatures on multiple pieces of paper before hearing the endless thud of stamps. Even if you buy something at the supermarket the receipt you get at the checkout isn’t enough. If you want to prove you bought something you’ll need to queue up elsewhere, sign a bit of paper and wait for the red stamp before you have a legally valid receipt. Chinese people call this second receipt a fā piào. As far as I’m aware this system of double receipts, signing paper and getting things stamped doesn’t really exist in English speaking countries so there isn’t an equivalent word for fā piào in English. This double receipt system doesn’t seem to exist in Taiwan either and so in Taiwan the word fā piào is used in the same way as the English word receipt. In an attempt to clarify this confusing system Chinese people often translate fā piào as “invoice”. However, fā piào and invoice aren’t really the same thing. The word community isn’t really used to mean a physical place in English. When politicians talk about the “black community” or “Muslim community” they don’t mean a residential area where the houses are all black or where the buildings are all mosques. Similarly if someone is the “centre of their community” it doesn’t mean they live in the physical centre of their housing estate. 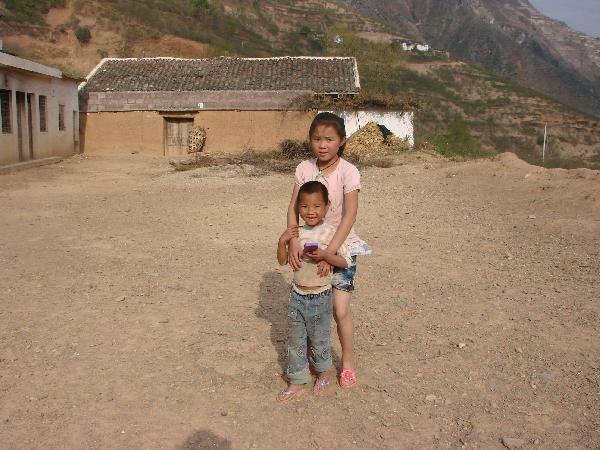 Having not been in China very long and living on a school campus the entire time meant I was unaware of the fact that Chinese people tend to live not on roads but in small walled areas called shè qū. In Britain the layout of cities is different and we don’t have shè qū. so I had no idea that when Chinese people say community they mean shè qū. 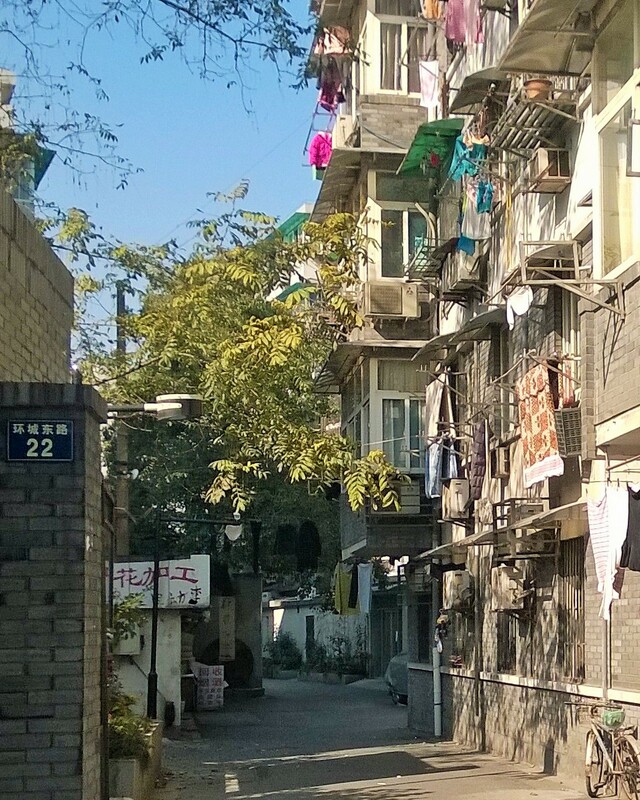 Most English speakers who have been in China call them communities too but it’s important for Chinese learners to remember that community doesn’t actually mean shè qū in the context of a western country. This list could go on and on. What’s the lesson we’ve learnt? Don’t trust a dictionary. If you can think of any other examples of Chinese people misusing English words please share them in the comments section below. This entry was posted in living in China, Teaching English in China and tagged Chinglish. Bookmark the permalink.